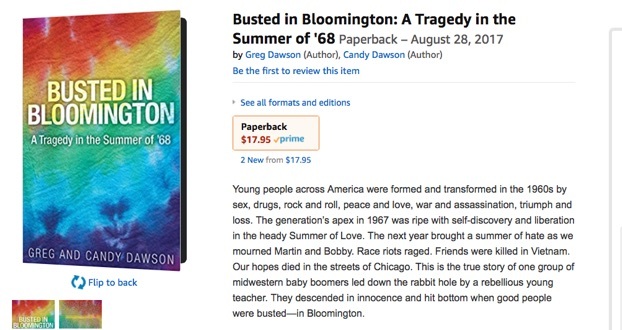 Greg and Candy Dawson explore how three very different individuals came together just to smoke a little weed during the summer of 1968. Why it ended in tragedy centers on a gifted young English teacher who had to hide his homosexuality. A desperate search for companionship led 23 year old Chuck Walls to make tragic mistakes involving his high school students. Four years and 120 interviews later, the result is this Collective Memoir spanning the years 1966-1968. 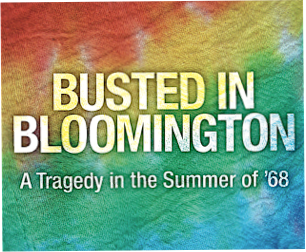 It tells the story of average Americans trying to make sense of those hopeful yet turbulent times--The Sixties. For More Excerpts, Blogs, Signings, etc.